Michael Stern is an Author, Artist and Curator. He curated the exhibition "Julius Shulman: Palm Springs," the largest exhibition focusing on Palm Springs' superb collection of Mid-Century Modern architecture and the largest exhibition of Julius Shulman's photography. 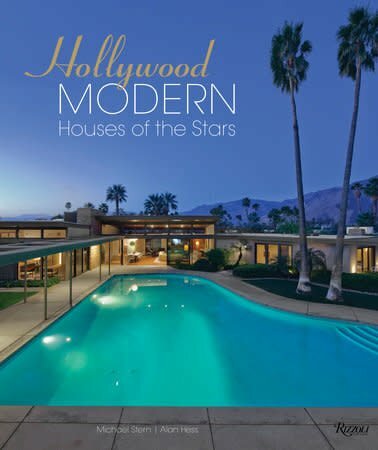 Michael is the co-author of the Rizzoli publication, Julius Shulman: Palm Springs and Director of the film "Julius Shulman: Desert Modern" which aired on PBS. He has lectured extensively and made numerous television and film appearances discussing the joys of modern architecture. Alan Hess is the author of eighteen books, including Palm Springs Weekend, Frank Lloyd Wright: The Houses (Rizzoli), Organic Architecture, The Architecture of John Lautner (Rizzoli), Googie: Fifties Coffee Shop Architecture, Oscar Niemeyer, Houses (Rizzoli), and numerous others. He is the architecture critic for the San Jose Mercury News.